This is a great opportunity to get into the sought after Stapleton community. This home has a perfect layout with two bedrooms and two full bathrooms and an open plan kitchen and living area all on the same level. The home has been updated with fresh paint, new flooring, and a tankless hot water heater. There is also a detached oversized one car garage, so you dont have to scrape your car off in the winter. The garage also offers ample storage for all your outdoor gear. 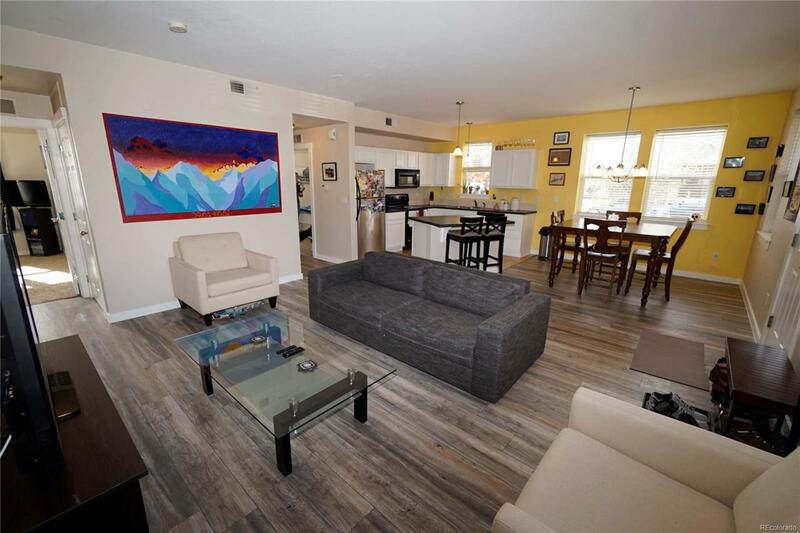 The best part about this home is the location in Stapleton you are a walk or bike ride from the Stanley Marketplace, Punch Bowl Social, and all the other shops and restaurants nearby. This is the home and community you have been looking for! Offered by Roost Realty Llc.